I did my first century ride on a drop-bar tourer. Trundling the hills with loaded panniers and mudguards, I thought it was the way to ride. Somewhere along the line, though, I discovered the compact double, compact geometry and carbon, and strayed towards lighter-weight steeds. But things have moved on — and I’ve been attracted back by the old flame. Triples are no longer the preserve of gentrified touring bikes with vintage leather saddles and canvas panniers; a versatile bike can be a workhorse during the week and stripped down for weekend shenanigans in leafy lanes. So to the Ridgeback Advance 7.0, which is a fine-looking bike. It’s sporty with a triple-butted alloy frame and carbon forks, shallow drop bars and disc brakes. The claimed weight is chunky 10kg, and I was beginning to think the full Sora chainset and 11-30t cassette was fitted to compensate, but it rides much lighter than this. Throwing a leg over and venturing out on the Ridgeback, the first thing I noticed was the crisp and precise operation of the so-called ‘budget’ groupset. Happily maintaining a high cadence into the buffeting wind, I was troubled by something at the front end. Shimano’s choice to expose all of the cabling of the brake and gear levers wasn’t too annoying, nor were the Flight Deck gear indicator windows, but the additional bar-top levers puzzled and irritated me in equal measure. I felt no need to use them, and when I gave them a tentative squeeze, nothing much happened. If I was going to use this as a commuter or sportive bike, I would need the space taken up by these levers for lights or other gadgets. The cabling also detracts from the overall smartness, with none of it under the bar tape. But those were the only red figures in the debit column, and within a few miles I was getting more and more impressed by the ride quality, attributable in no small part to the excellent 28c Continental Contacts. Descending was assured and predictable, but when the road tipped upwards, the momentum was quickly lost, meaning rapid cog-swapping. Climbing wasn’t likely to give you the bends, but it wasn’t laboured; getting out of the saddle was rewarded with steady rather than rapid acceleration. Once back in the own-brand saddle, I’d no complaint about the support it afforded. The frame and forks soaked up the bumps so well that I was actively seeking out the worst part of the road to try and throw it off its stride. The jury is out, though, on the subject of disc brakes for road bikes — I was sceptical, to say the least, especially where aesthetics are concerned. However, the Avid BB5 cable disc brakes were nicely modulated, and the more they bedded in, the more I began to trust them. The main advantage with disc brakes is that their performance is relatively unaffected by wet weather, and the braking surfaces are kept away from the worst of the grit and grime from puddles and other surface water. Disc brakes add a certain amount of weight and complexity, which some may rather avoid, but in this, their simplest, non-hydraulic form, there’s not a lot to dislike. As I got to the end of my ride, I realised that I hadn’t used the smallest chainring — the 18 gears on offer without it were more than adequate for me. But if you wanted to add luggage and use this bike as a tourer or commuter, a granny ring would come in useful. If it was my own bike, I would probably switch to a compact chainset and take off those chicken brakes. But then again, despite its looks, the Advance is not a dedicated speedy sportive machine. 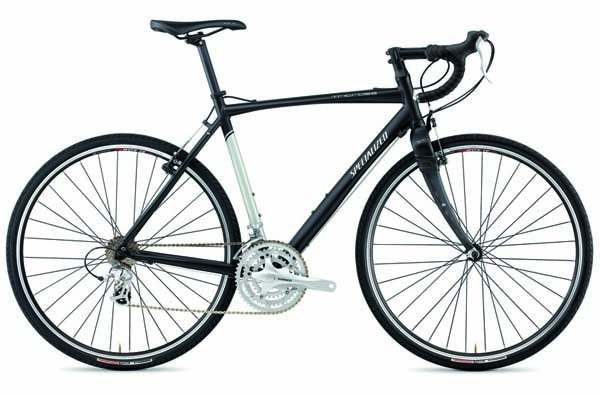 It’s simply a comfortable, versatile, well-equipped and very competent, all-round road bike. For another £101, you can get Specialized’s mid-range Tricross, which has the same brakes and groupset (albeit a compact double) and internal cable routing. The tyres are chunkier, and you get a ride from a pro peloton staple kitted out with trickle-down design and components. 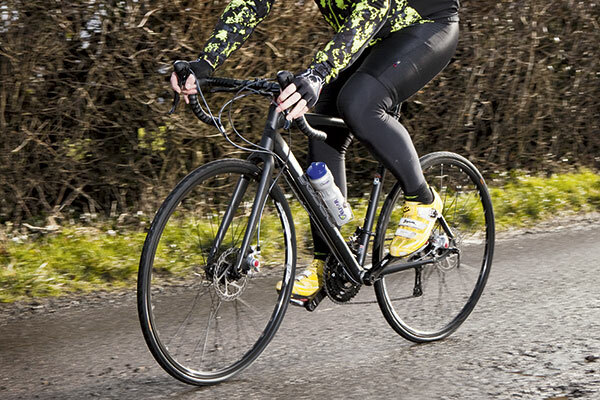 It’s orientated towards cyclo-cross, but, like the Ridgeback, can easily be adapted to commuting and sportives.